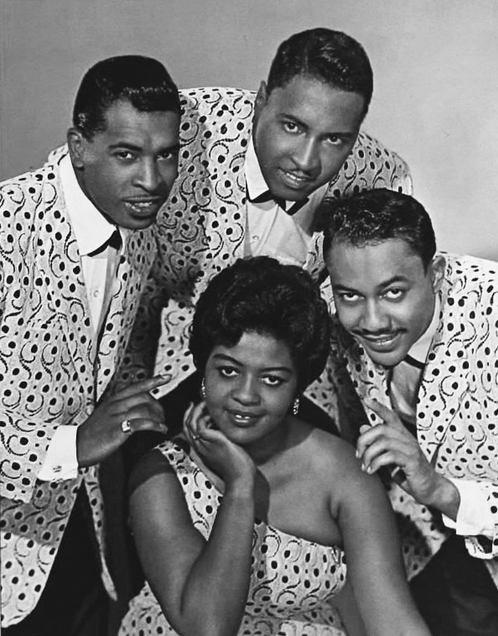 The Sensations had two separate careers : one on Atco in the fifties and one in the sixties, with a different line-up and style, on Argo and Junior. The group was founded in 1954, in Philadelphia, as the Cavaliers. 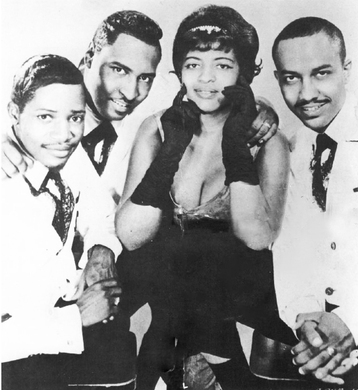 They were one of the few R&B vocal groups with a female lead, Yvonne Mills. 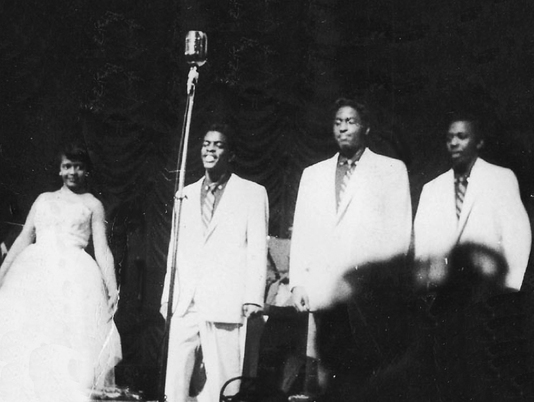 The other members were the group's founder, Tommy Wicks (tenor), who also sang lead occasionally, Alphonso Howell (1937-1998, bass) and an unidentified fourth member. 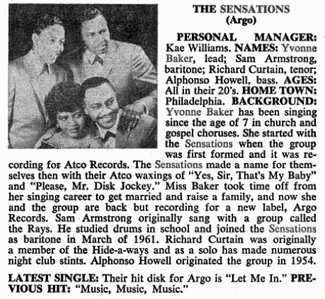 In July 1955 they were signed by the fledgling Atco label (a subsidiary of Atlantic), where they were renamed the Sensations. Their first record was released in November 1955 : "Yes Sir, That's My Baby" (Atco 6056), an old Gene Austin standard from 1925. 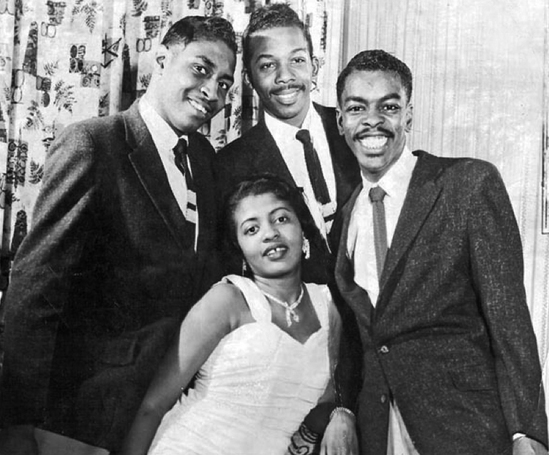 It was an immediate success, peaking at # 15 on the R&B charts in February 1956, and secured the group some worthwhile bookings. This was followed by another evergreen that was given a major musical overhaul, "Ain't He Sweet" (Atco 6067). However, it was the other side, "Please Mr. Disc Jockey", that charted, reaching a peak position of # 13 in May 1956. 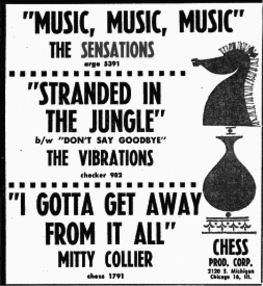 Atco released four more singles between July 1956 and April 1958, but there were no further chart entries. After the three-year Atco contract expired, the group decided to disband as Yvonne became Mrs. Yvonne Baker and started raising a family. 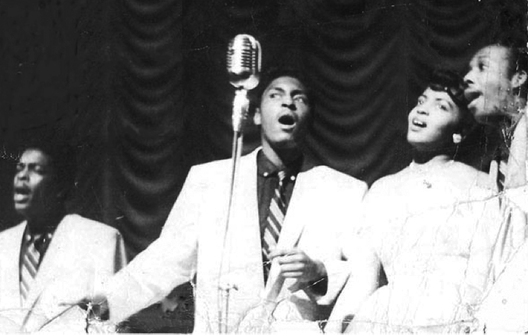 In 1961, Alphonso Howell, feeling that vocal groups were once again in demand, convinced Yvonne to re-form the Sensations. 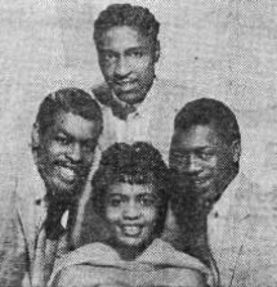 Tenor Richard Curtain (ex-Hideaways, MGM) and baritone Sam Armstrong (who had been in the Rays for a brief period) were added, and the group persuaded their old manager, Philadelphia deejay Kae Williams (who had managed the Silhouettes in the meantime) to handle them again. He arranged a record deal with Chess's Argo affiliate, which released another old standard, "Music, Music, Music" (a # 1 for Teresa Brewer in 1950), complete with walking bass and rocking sax solo. Not only did it go to # 7 on the R&B charts, it also gave the group their first pop hit, reaching # 54 in Billboard. "Put Another Nickel In" was changed to "Put Another Dime In". "Oh well you know, depreciation, man", as Ray Charles would say. The second Argo single came out in November 1961 and was written by Yvonne Baker. 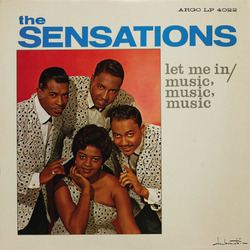 It is the record for which the Sensations are best remembered, "Let Me In". Helped by the catchy "wee-oop-oop-we-ou" harmony, the disc went all the way to # 4 on the pop charts (# 2 R&B). As so often happens after a major hit, the Sensations couldn't record any follow-up hits to sustain their momentum. 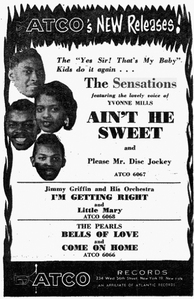 "That's My Desire" (now credited to "Yvonne Baker and the Sensations") made it to # 69 in May 1962, after which there were two additional Argo releases, along with several on Kae Williams's own Junior label. But nothing could bring the group back in the spotlight. Yvonne Baker later attempted an unsuccessful solo career.